Tis’ the season for cold weather and snow-covered grounds. 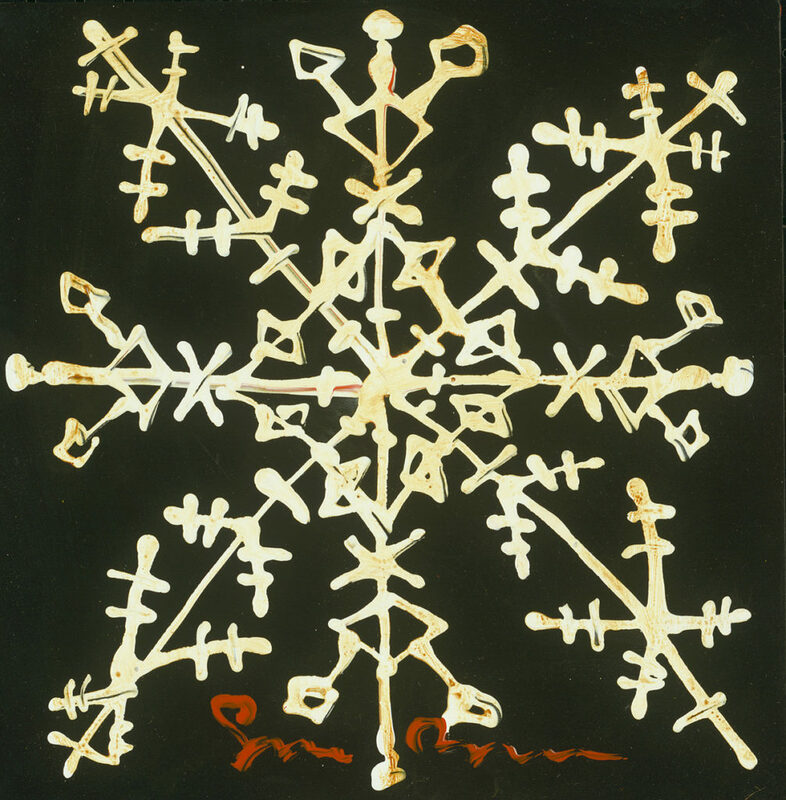 While the bitter air and slushy roads make many people shudder, a pure white blanket of snow inspires many artists to pick up a brush. With its massive scope of artistic talent, Park West Gallery is home to numerous artists who have a unique take on wintery weather. As a dynamic artist, Dominic Pangborn‘s wintery interpretation takes a different approach to a classic snow-covered scene. 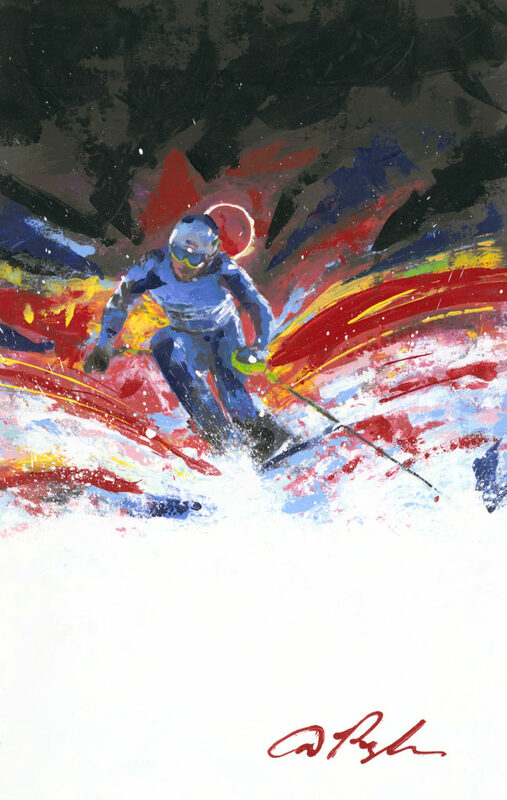 Pangborn’s “Full Speed” brings a burst of color contrasting with the snowy ground as the skier races down the mountain. 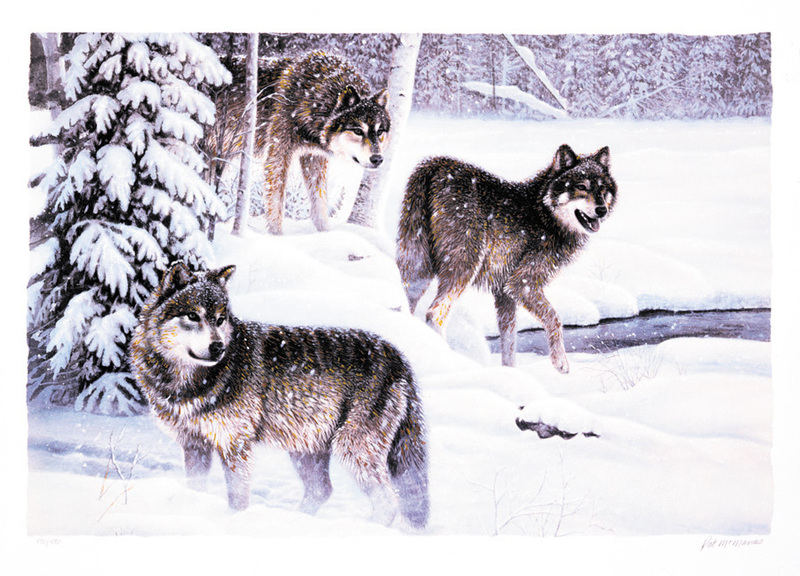 Wildlife artist Pat McManus captures a snowy scene of winter in his signature natural setting. As an avid outdoorsman, McManus’ winter artwork gives a look into the woods at the creatures who face the cold head on. 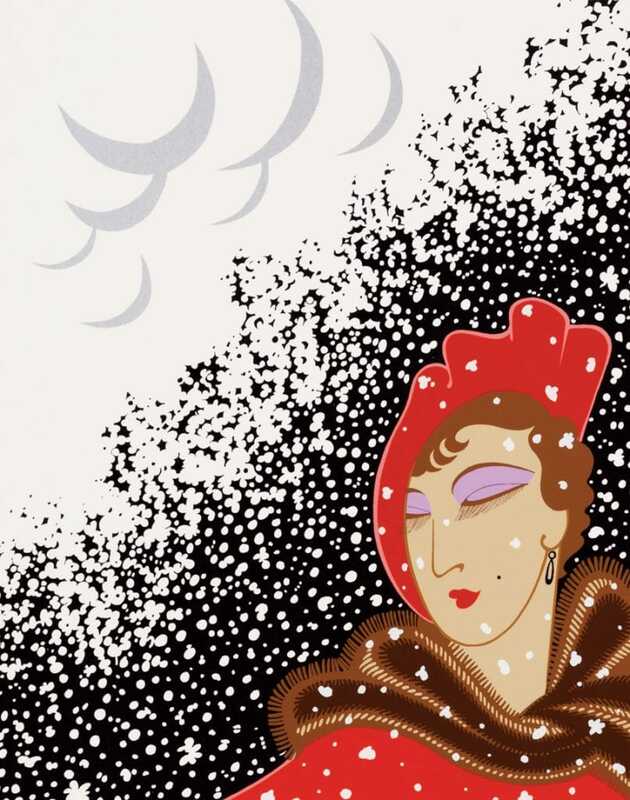 Perhaps the most fabulous take on winter comes from renowned fashion illustrator Erté. 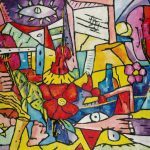 The Russian-born artist is credited as one of the founders the Art Deco movement—a style of art that embraced luxury and glamor. The woman in “Winter” embodies this motif as the subject’s red coat and fur scarf stand out from the black background and white snow. 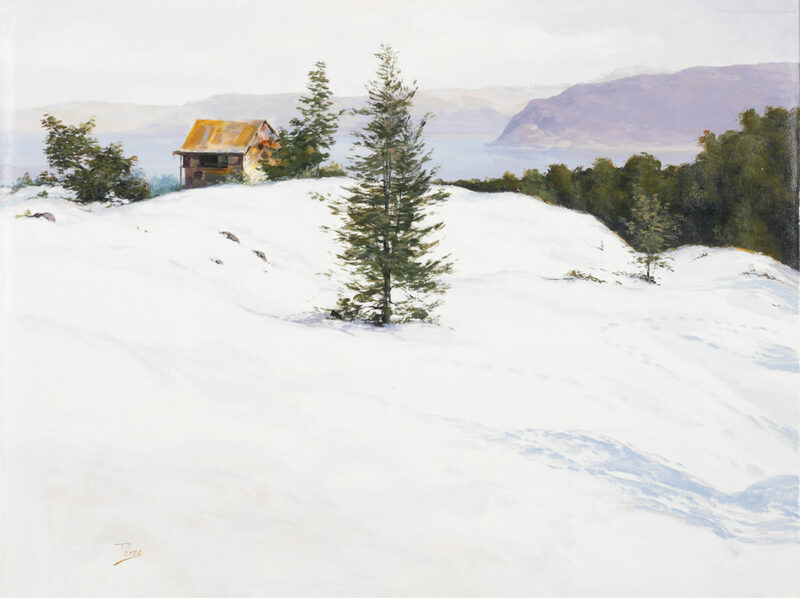 This classic take on a snowy hillside depicts an idealistic winter scene. In this work of art from Alex Perez, pointed evergreens are perched atop drifts of snow casting tiny gray shadows onto the white sheet. A bright yellow cabin looks off in the background with purple mountains rolling behind it. Hyper-realist artist Alexander Chen has a special relationship with the cold weather. The artist saw snow for the first time when he was in New York City at 40 years old. 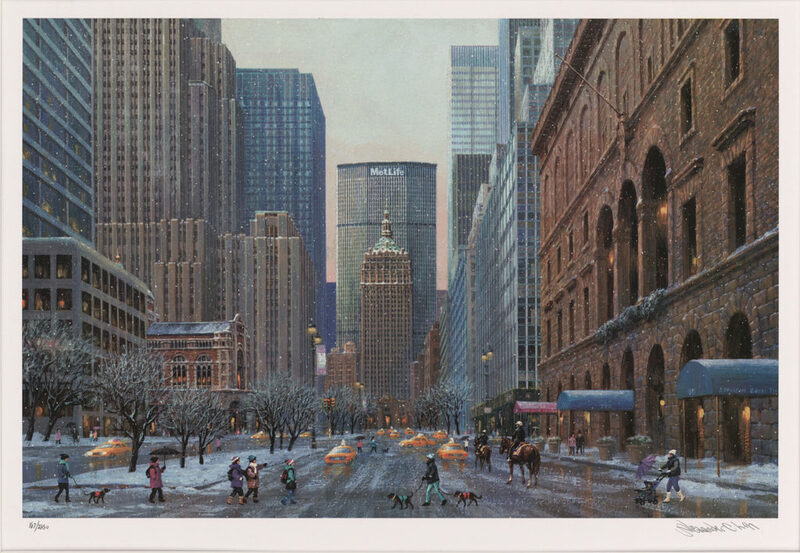 The white drifts inspired Chen to create a series of artwork featuring the Big Apple in the middle of winter. 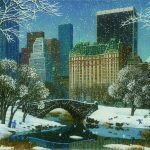 View more wintery weather artwork in Park West Gallery’s Holiday Sale Collection or stop by Park West Gallery in Southfield, Michigan.